Firstly I want to start off by saying the content of this blog post is entirely my own content, it has in no way been sponsored, gifted or paid for. I purchased the item in this post with my own money, I just wanted to share with you the LayBuy option as I thought it was a pretty good thing to spread the cost of an item if you needed to. Being signed up to the mailing list you sometimes get the odd emails letting you know about new products that are coming out. In one of the email's that recently came through to my inbox was from the Magnitone mailing list just to let everyone know about a new payment option that had been added to there website, this being the LayBuy Payment option. LayBuy is basically a credit option where you can pay for your item in six affordable payments, you have to pay the first installment when placing your order and after that, they spread the rest of the amount across six weekly payments. I was in desperate need of a new magnitone cleansing brush, as I gave my old one to my sister after I purchased one from a different brand...which just didn't live up to what it was supposed to do. 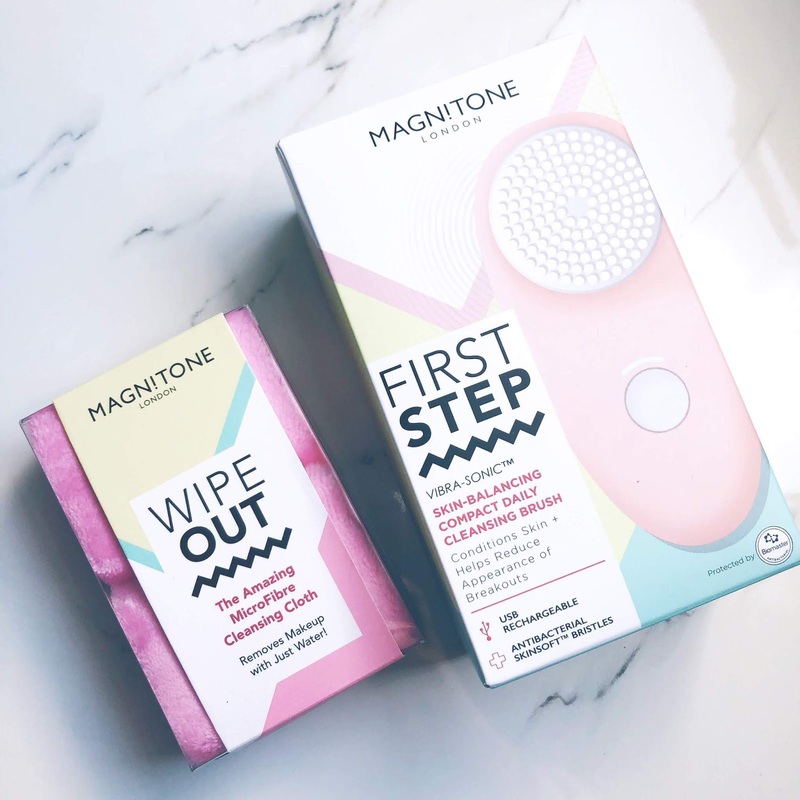 So I decided to purchase the Magnitone First Step Cleansing Brush and Wipeout Cleansing Cloth which is priced at £55. So my first initial payment when I placed my order was £9.20 which is then followed by another five weekly payments of £9.16, I have already paid my first three payments so I only have another three to go. If you are late with one of your payments, you can be charged £6 for it which is considered a late payment fee. The only thing I would say is only use LayBuy as a payment option if you know you can afford to repay it, don't just use it because it's there and get yourself into debt...my credit limit on there is £75, so I don't know what the maximum limit or minimum limit is, but personally I am happy just to have the £75 on there in case I do decide I ever need something in the future.